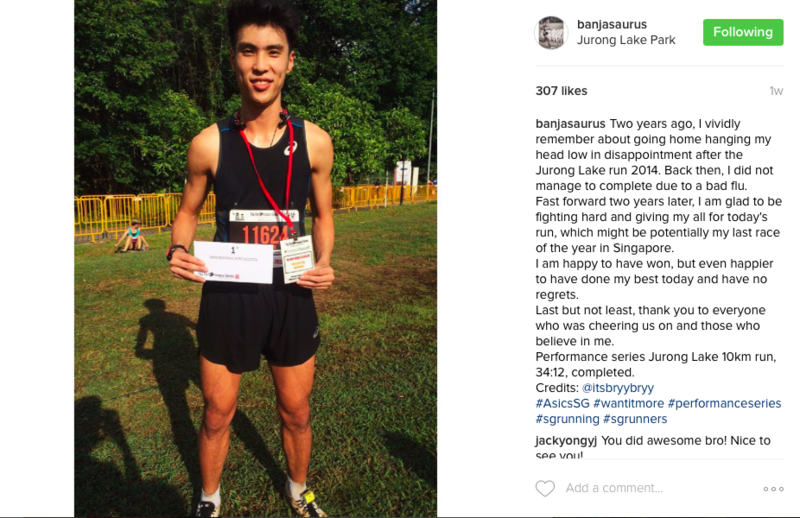 6 Singapore Long-Distance "Superstar" Runners You should Follow on Instagram | JustRunLah! Who says a high-performance athlete can only soak in sweat or camp by the tracks and NO SOCIAL LIFE? 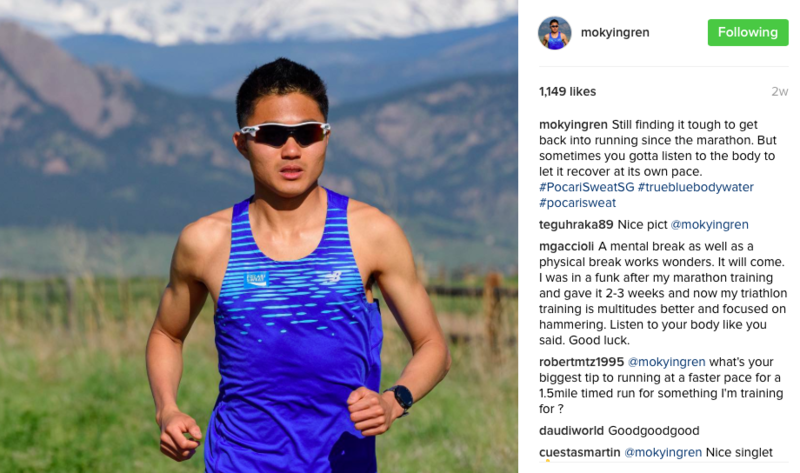 You’ll be surprised and gain a dose of running inspiration when you check out these Singapore runner “Superstars” on Instagram. By following their accounts, not only can you go behind the scenes – what an athlete usually eat or do, but also to see how they train hard and still live an amazing, healthy lifestyle like celebrities! Dr. Mok Ying Ren has been a triathlete, long-distance runner, gold medalist in SEA Games and you should know that, he is also a medical doctor. His posts – from busy doctor lifestyle to running tips to travel diary, you will be amazed how Dr. Mok lives his life to the fullest! 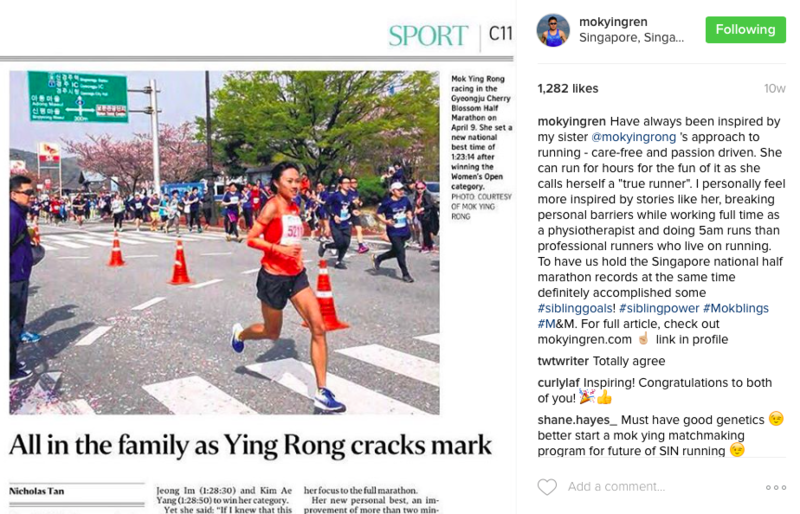 Not forget to follow his sister, @mokyingrong, who is also a sports physiotherapist, half-marathon record holder in Singapore and an influencer to the running community. If “I have no time to run” is your excuse, looking at Mok sibling’s posts and updates definitely can give you the urge to want to #runwithmok! 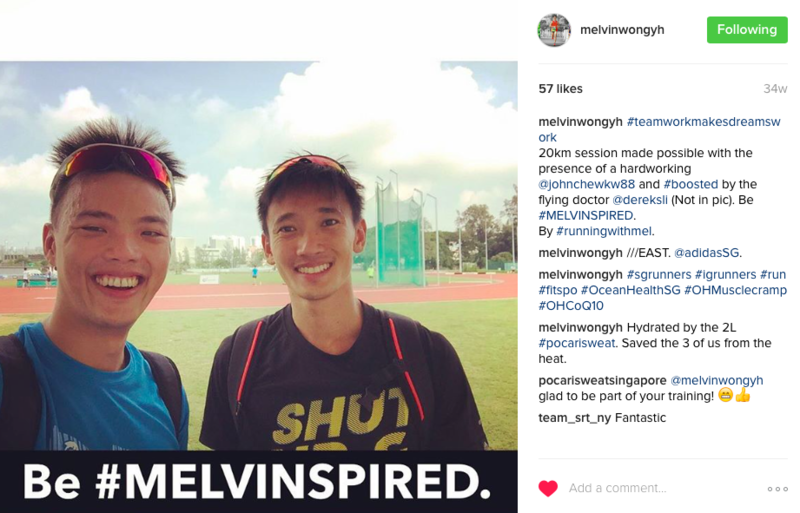 A 2015 SEA Games Marathon Champion, Soh Rui Yong has been known as an inspiration figure for beating the impossible and chasing a dream. Soh’s Instagram feed visually depicts his awesome experiences in United States, as well as his adventures when he travels, trains and competes across the world. You’ll be encouraged by Soh to #WantItMore and be better than your yesterday, all through running! 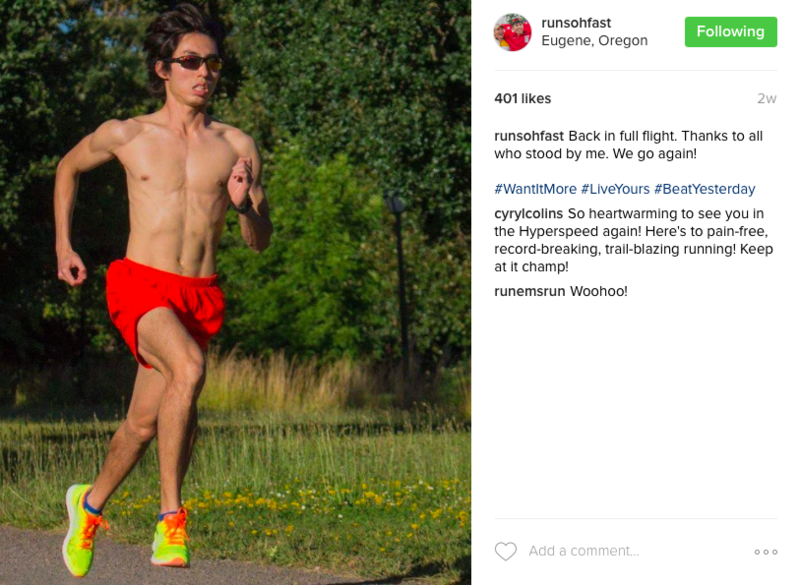 As a distance runner, triathlete and an ambassador of many races, Melvin Wong is one to know in the running community. Don’t be surprised if you’ve seen him on news, as he is also one of the participants in 2015 SEA GAMES. Melvin’s Instagram feed is full of inspiring photos about his essential gears, favorite routes, daily nutrition and brutal workouts. 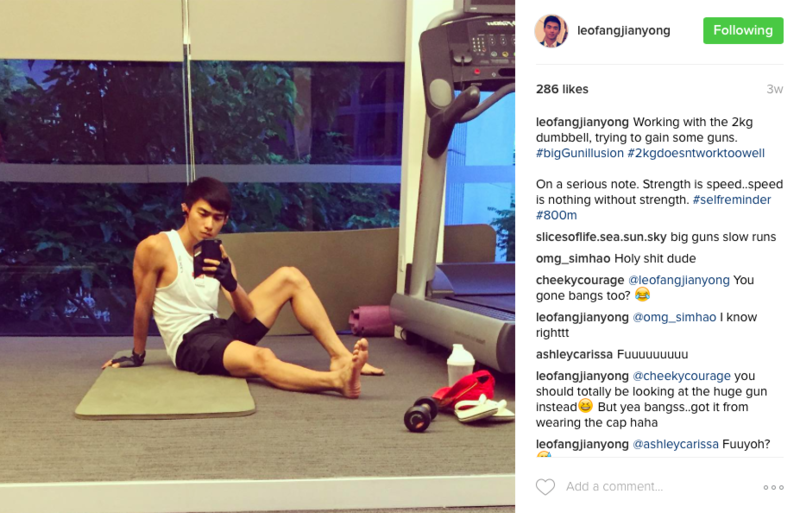 Jacky Ong gained his followers with his hilarious and inspiring posts, and his account is just plain fun! Apart from photos and videos of his training, your day will be cheered up by Jacky’s feed, showing off good food and sharing the positive, happy vibes among the young athletes. 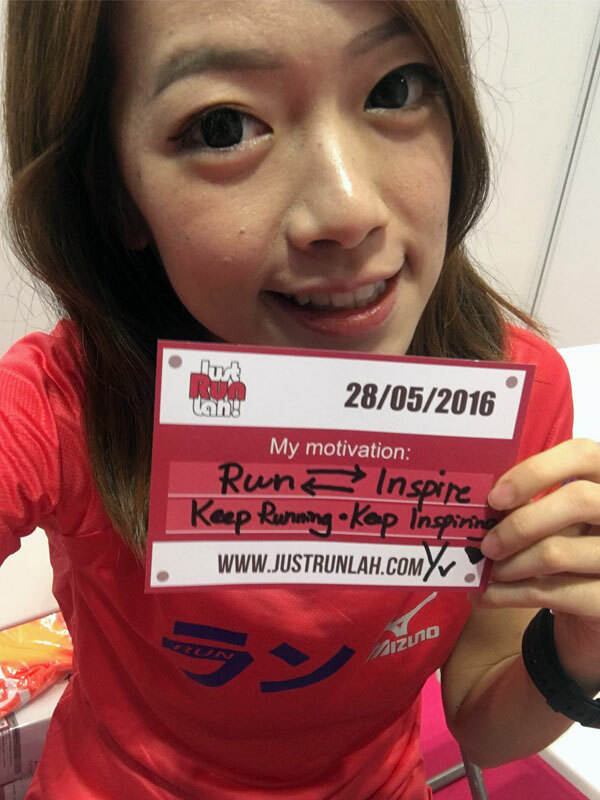 If #runtoeat is your motivation too, you definitely should check out Jacky’s account. But don’t blame us if you LOL by his funny posts in the middle of your quiet office! With his passion of running and boyish good look, Banjamin Quek has a way of charming his followers. This student athlete and brand ambassador posts his fair share of cool race candids, snapshots with his running buddies and a real-life look at his study-run lifestyle. You will be particularly impressed by his recent win in The Performance Series Race 2 Jurong Lake! Having started running at a very young age, Leo Fang Jian Yong has come a long way as an athlete and setting a national record! 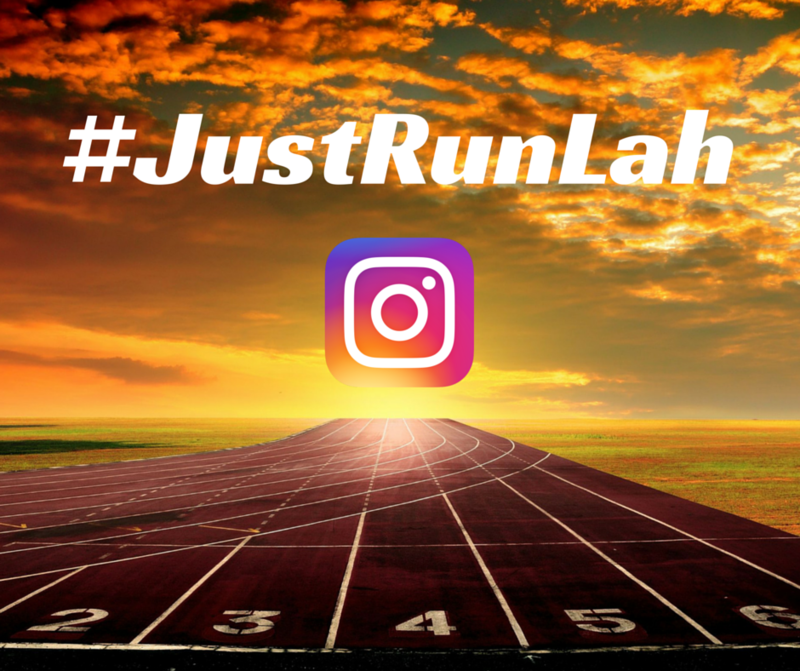 More than just running, Leo’s Instagram also provide a glimpse into a distance runner’s training, so be inspired by snapshots of his swimming, gym, other outdoor activities and GET MOVING! Thanks to these amazing long-distance runners for their time and effort to share and spread the joy of running! Now your Instagram feed will not be boring, filled with pictures of yet another OOTD and selfie. Feel inspired and want to run? 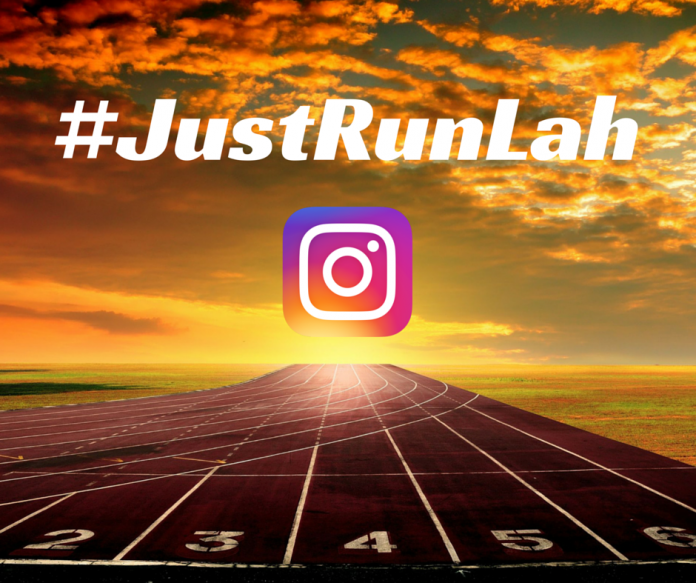 Wait, tag #JustRunLah to be considered for a feature spot – a transformation picture or awesome story are big pluses! Who knows, you may be the next “Superstar” and inspire many! all guys? what’s up with that?